Ward Black Law was thrilled to be a part of the 2015 National High School Mock Trial Championship in Raleigh, NC. As a “Justice League” sponsor, we saw 46 teams compete for the title of national champion right here in our home state. 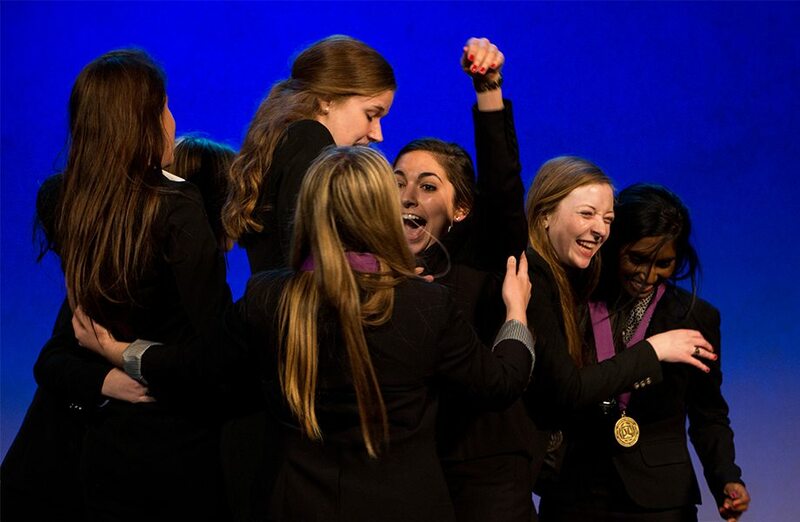 Bright students came from high schools across the country, both public and private, to compete in this prestigious event.Teams competed at the state level in the fall of 2014, preparing to present and argue both sides of a court case. Participants also had the opportunity to hear from the Honorable Antonin Scalia, Associate Justice of the United States Supreme Court, who served as the event’s keynote speaker. Ward Black Law has been involved with the North Carolina Mock Trial for 15 years. For the past eight years, our very own Janet Ward Black has served as a judge in the final round. Two North Carolina teams participated in the 2015 national competition: Gaston Christian School and the Central Carolina Homeschoolers. Ultimately Duchesne Academy, an all-female team from Nebraska, was announced as the National Champion after a hard-fought championship round against runner-up Northview High School of Georgia. Since the competition was founded in the 1980s, it has grown and evolved, giving hundreds of students once-in-a-lifetime opportunities. Mock trials allow them to develop a comprehensive understanding of the justice system, participating as attorneys, witnesses, courtroom personnel, and other essential parties. The skills developed are invaluable for each student’s future. Through this competition, they become dynamic public speakers, learn to think critically and on their feet, see how the justice system fosters peaceful resolutions, and work together with their teammates toward a common goal. Most of all, through the competition, a love for justice is instilled in each participant – an uncommon passion for serving and protecting the rights of others. At Ward Black Law, we think that’s something worth celebrating.